"Winter is the time of promise because there is so little to do - or because you can now and then permit yourself the luxury of thinking so." We are starting off February in an exciting way, with something new. On Saturday, February 6th, we are hosting Ladies' Day here at Greenhouse Garden Center. Ladies join us for fun, refreshments and lots of great ideas with opportunities to take home neat stuff! We have gotten together with Carson City Paint Mart, A Very Fine House and Artisan Cafe to bring some excellent guest speakers to talk about designing and decorating inside and outside your home. Fawn Chang is an international designer and color and design consultant for Pittsburgh & Porter Paints. Kevin McFaul, Floral Designer for Winward Silks, Tricia Lincoln, Interior Decorator and Owner of A Very Fine House, and Jeanne Dey, Manager of Artisan Cafe and Karen's Kupcakes will also be joining us. In addition, Lisa Meggerson, Landscape Designer of Greenhouse Garden Center, Tiffany Wickham, Design Consultant for our gift shop and David Ruf, Owner of Greenhouse Garden Center will be on hand. This event costs $20 to attend. Reservations are required and may be made in person or over the phone by calling us at 882-8600. Spend all day or pick and choose which speakers you want to see. This month and March can be tricky months. We will start to experience some sunny, warm days - especially towards the end of the month. Don't be fooled, because it is still winter and snow and freezing temperatures can come at anytime. Keep in mind that if we start to experience several days of warming that is a perfect opportunity for weeds to start growing. Pre-emergents need to be used now to avoid the annual infestation of weeds that will appear. Deer, rabbits and voles are very active and can cause fatal damage to landscape plants during the winter months. Be vigilant about checking your plants for chewing damage. Come in and let us help you find the best products for you to control these critters. We have many organic options both for repellents and bait. Seminar, "Bonsai 101", Speakers: David Ruf and Naomi Borowick, 1 PM, Reservations Required. Find out about our Bonsai Club. Join our recycling club. Bring back your used black pots on Sundays and enter to win a monthly drawing for a $25 gift certificate. Join us for fun, refreshments, and lots of great ideas, with opportunities to take home neat stuff!! Spend all day or pick and chose. Reservations required. $20 per Person. Call Greenhouse Garden Center at 882-8600 to Reserve your spot!!! Greenhouse Garden Center has 2 immediate openings for employment. Apply in person at our Garden Center; no phone calls please. Landscape Division Office Assistant: We are looking for a physically active, positive person to assist in our landscape office. Applicant must be able to take direction and also be self starting. Strong clerical skills required including but not limited to knowledge and proficiency in Word and Excel, excellent phone skills and customer service skills. Duties also include lifting plant material. Knowledge of plants helpful but not necessary. This position is full time seasonal and wages are DOE. Gift Shop Assistant: We are looking for an physically active, upbeat team player. Applicant duties include office/clerical, customer service, receiving and processing merchandise and decorating skills. This position averages 30 hours per week and wages are DOE. Looking for a trendy scarf that is fun and affordable? Greenhouse Garden Center Gift Shop is carrying a new line of colorful scarves from Tickled Pink. Don't forget the timeless elegance of the Pashmina scarves. We have a great selection. 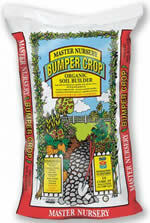 Deer Scram Granular Repellent is now available at Greenhouse Garden Center in a ready-to-use shaker bag. Organic gardeners - this product is OMRI certified. It is an all-season repellent, with no bad odor, and won’t hurt animals or the environment. This product is long-lasting and, in our area, expect it to work 30-45 days before reapplication is necessary. Finally, at Greenhouse Garden Center we have a pH control kit designed for measuring water pH, with corrective solutions designed for hydroponic gardeners. Individual water pH kits are also available without pH UP or pH DOWN solutions. Spray Florel once a week for 3 weeks on the greenish flowers on elms and cottonwood, and red flowers on silver maples. NO SEEDS, NO COTTON AND NO BOXELDER BUGS! Click here to print articles.